High quality brass and steel construction. P.O.L. inlet for refillable propane cylinder. 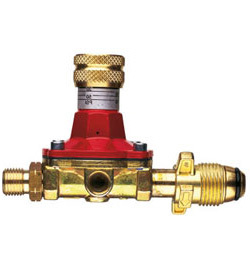 Allows fast connection and disconnection of torch handle and hose without tools. Made of brass, U.L. listed.